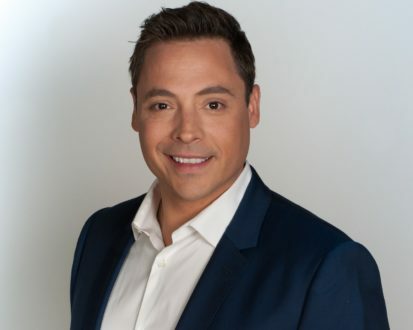 Photo courtesy of Jeff Mauro Food Network star Jeff Mauro talks about his experiences as a traveling dad. 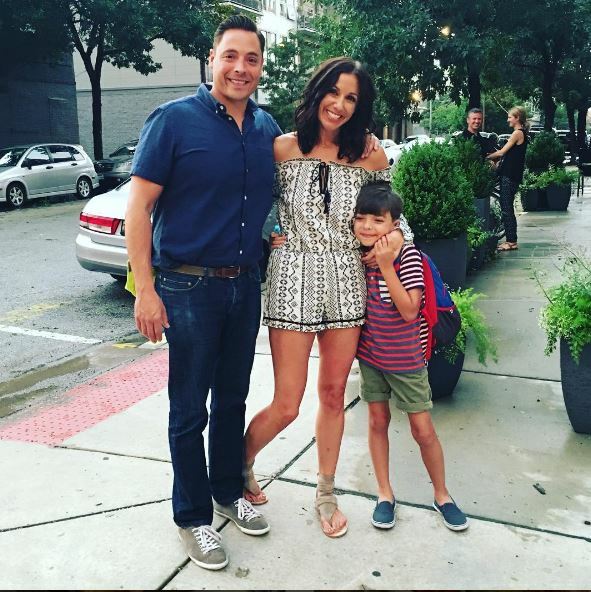 He may be a Food Network star, but Jeff Mauro is also a traveling dad. He recently shared with us some of his stories about New Jersey road trips, the time his son got sick on a plane, his hopes of traveling to Australia one day, plus details on a few cool new things he’s working on. Food Network star Jeff Mauro talks about traveling with his wife and son. 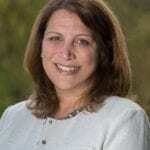 TravelingMom.com founder Kim Orlando always jokes – somewhat seriously – that every parent who travels has a puking story. Food Network star Jeff Mauro does. But he mostly has happy stories of traveling with his family, including his 8-year-old son, Lorenzo. A lifelong Chicagoan, Mauro insists on raising his family in the same neighborhood where he grew up, even if it means frequent commuting between Chicago and New Jersey (where they tape “The Kitchen.”). Q: What are some of your favorite vacation memories, either from your childhood, or with your wife and son? A: My favorite vacation memory is driving to the Jersey Shore from Chicago with my parents and three siblings. We had the classic minivan, complete with fake wooden side paneling. My father did the 16-hour drive straight through, so we took out the middle seat of the van and replaced it with the mattress. These trips were all about the travel snacks, games, fighting with my siblings – it was more about the journey to get there, not so much the destination. Q: What’s still on your bucket list? A: The destination still on my bucket list is Australia. I am a bird nerd, so I want to see wild cockatoos. Q: What’s your #1 piece of travel advice for new dads, especially those flying for the first time? A: The first time you go to book your child’s flight, enroll them in the loyalty program. Get them earning points as soon as possible. Also enroll them in TSA PreCheck and Global Entry. Q: What’s your biggest family travel fail? A: On the way back from Mexico, my wife and I fed Lorenzo too many snacks on the plane’s descent. He ended up expunging those snacks into his car seat, and there was nothing we could do about it until we landed. Q: You’re a dad who travels a lot. 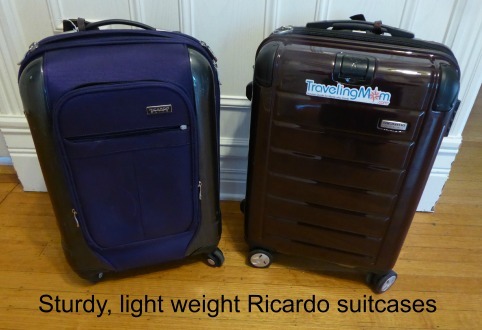 Do you travel much with your family? How old is your son? A: I am so fortunate that I get to travel for work and my family often gets to come with me. We do make sure to plan vacations where it is just us and I don’t have work commitments. These vacations ensure quality family time that I may not get the chance for when traveling to food festivals or to film the show. 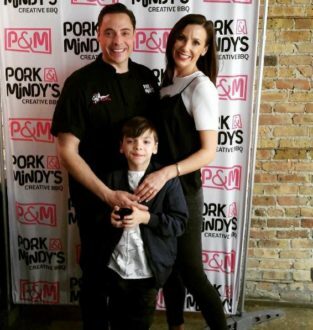 Food Network star Jeff Mauro poses with his family during the opening of his new Chicago barbecue restaurant, Port & Mindy’s. Q: You’re a Chicago guy. What are some of your favorite family-friendly restaurants in Chicago? A: Pork & Mindy’s, Jim & Pete’s, and Parachute. It is a funkier place but it is so fun, and they have the best kid’s menu. Q: What’s the idea behind your new Chicago restaurant, Pork & Mindy? A: I had always wanted to get back into restaurants but with sandwiches, there are so many ways it could have gone that I was having a tough time narrowing down to a single concept. My childhood friend, Kevin Corsello, shared his general idea of Pork & Mindy’s and I knew that we were onto something great. We have created a place that separates itself from the usual fast casual restaurants, combining our love for food, music and art, a place that brings people together. 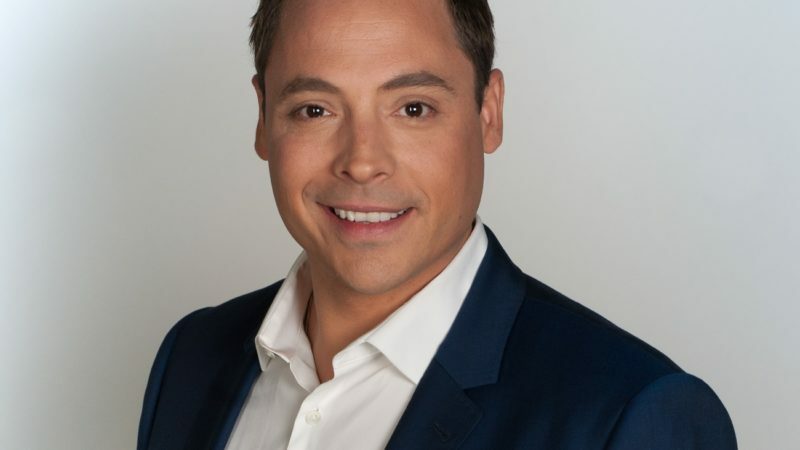 Food Network star Jeff Mauro talks about his experiences as a traveling dad. Q: What’s the #1 thing fans say to you when they approach you? A: You’re a lot younger and thinner in person. Q: I know you’re the Sandwich King, but be honest; do you ever get sick of sandwiches? A: No, I truly love sandwiches. They are so versatile that no matter what you are in the mood to eat, you can find it in a sandwich. This food also allows me to be endlessly creative. Q: You’re now a spokesman for BLACK + DECKER and George Foreman Grill. Name one favorite product from each line. A: Right now, I have been using two new products – the BLACK+DECKER™ MultiPrep Slice ‘N Dice and the George Foreman Grill & Broil to create quick, easy and delicious meals at home. 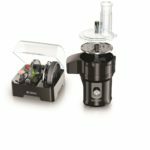 The BLACK+DECKER MultiPrep™ Slice ‘N Dice lets you dice, slice and cut directly into your own bowl or pan, making clean up a breeze. The result it creates is as close to restaurant quality as possible, and it is no match for anyone’s knife skills. 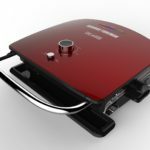 The George Foreman Grill + Broil takes the classic George Foreman contact grill and combines it with the convenience of countertop broiling – allowing you to grill, top-brown, and broil all on one appliance. With this grill, home cooks’ meal options are endless, no need to pull out a broiling pan, turn on your oven or deal with messy clean-up. George Foreman Grill’s BK broiler. Q: What else will you be working on in 2017? A: In the coming months, I will be focusing on Pork & Mindy’s – the restaurant will be making its debut at Wrigley Field this coming baseball season – and continuing to host The Kitchen on Food Network. Read Suburban TravelingMom Jamie Bartosch’s interview with Victoria Osteen, co-pastor of Lakewood Church in Houston, Texas, where she talks about her family travel adventures.